I'm going to walk through each of the tools I received and then let you know how you can win all of them! These babies are sharp. And perfect for cutting that back bone out so that you can flatten out that turkey. They have a serrated blade on one side that grips the skin so that it doesn't slip while you're cutting. The blades also separate so that you can easily clean up after the carnage. This put my last leave-in thermometer to shame. 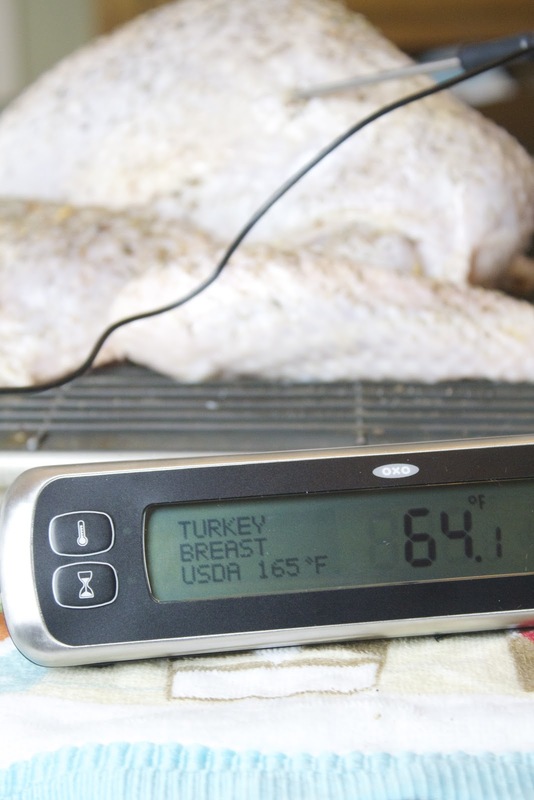 Choose your meat, where you're placing the thermometer and even choose between USDA and Chef recommended temperatures. It sits beautifully outside the oven and even gives a 10 degree warning before your meat is done. If you've never used a leave-in before, it's a lifesaver. No opening and closing the oven door a hundred times to keep checking the temp, so it cooks evenly and quickly. To baste or not to baste? There's lots of discussion on whether or not to do it but I can see reasons for both. If you're going to though, this is the tool to do it with. Large enough to not have to keep sucking up tiny amounts of juices and it even has measurements up the side and a handy brush to clean it with. I have wanted one of these for years! 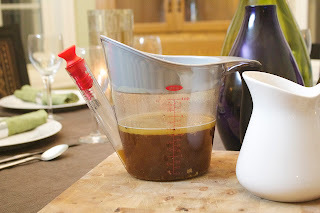 I don't know why I never get one but every time I go to make gravy, I curse myself for not having one. It has a spout that starts at the bottom so that the grease and fat float to the top and you can pour the good stock out from the bottom. Everyone needs one of these. Admittedly, I do have a potato ricer already that I love. There's just something about perfectly smooth potatoes that makes all the difference. The one thing that my ricer doesn't have though is adjustable settings. The OXO one can be adjusted to three different setting depending on how fine you want something strained. 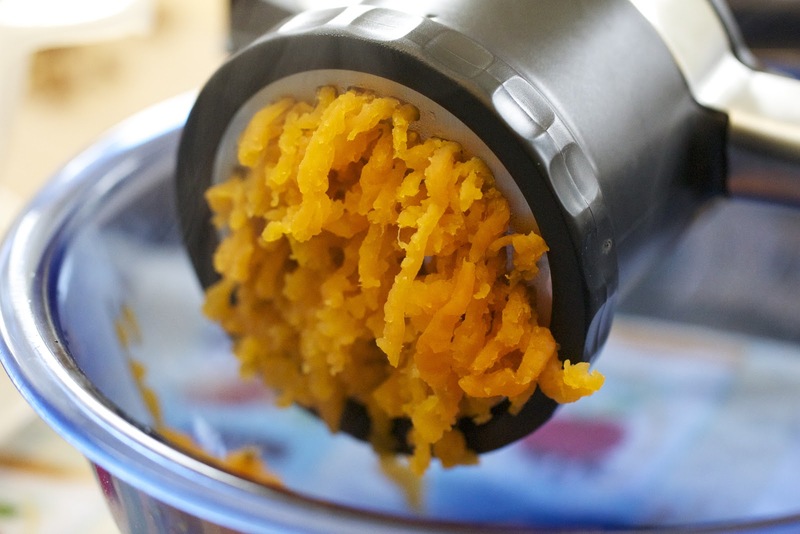 So you can make chunky applesauce or perfectly smooth sweet potatoes. Now that's genius. I've had silicone brushes before but never one this large and never with the cool center bristles that have holes in them to hold extra liquid. This size is perfect for basting your turkey, especially if you're doing it on the grill this year. We desperately needed some new pot holders. I may or may not have left my last one on a hot burner. These babies can go up to 600 degrees and have a cool little pocket on the back for your hand to slip into. Now that you've seen them all, how would you like to HAVE them all? 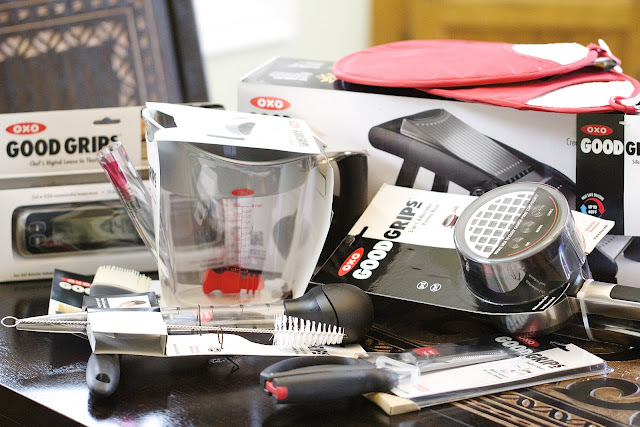 OXO is graciously giving one of my readers all of these tools to help them out in the kitchen this holiday season! 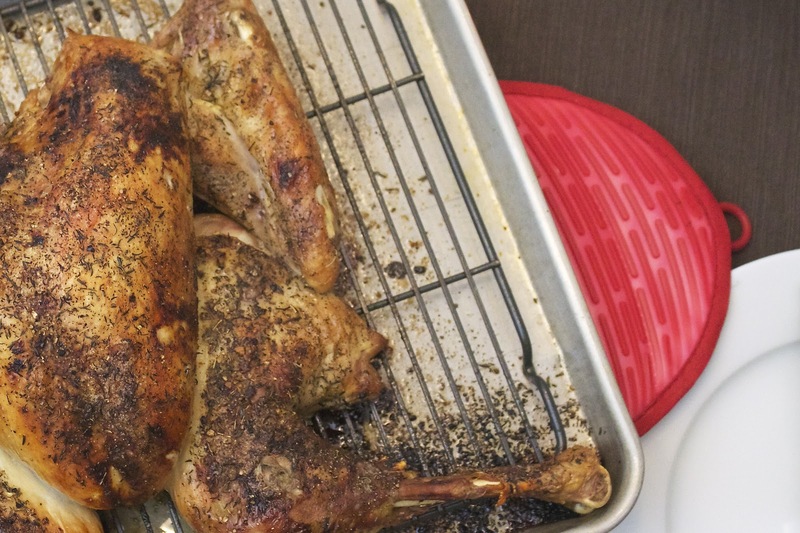 Share the How to Spatchcock a Turkey post on Facebook, Twitter or Pinterest. Tag Thyme in Our Kitchen in your post, tweet(@thymeinrkitchen), or pin. Leave a comment below telling me how you shared the post and what tool you are most excited about receiving! Like Thyme In Our Kitchen on Facebook or follow me on twitter and leave a separate comment below for each. Open to US Residents only. Entries open from November 9th to the 17th. Winner will be randomly drawn from all entries. Winner will be contacted (leave a contact method!) and must respond within 24 hours or a new winner will be chosen. I Tweeted the link on my twitter feed (@dariawalton) to enter the contest. That potato ricer looks amazing! I don't know if I'll spatchcock my turkey at Thanksgiving, but it looks like a great option for other times of year. I shared this on Facebook! I would like to try the 4 Cup Fat Separator to help me make better gray! and I like the Digital thermometer. I like Thyme In Our Kitchen on Facebook! I would love to win this giveaway, I'm cooking for the church this year and this would help out tremendously! I love this way of cooking a turkey. I pinned and re-pinned on Pinterest. I follow OXO on Pinterest. The item I just love the most and need is the digital thermometer! I am most excited about the potato rice, I've always wanted one! Hi Matt, I shared this on Pinterest and I'm most excited to receive the ricer. It's been on my gift wish list for awhile now. I did ALL you asked above and as far as the kitchen utensils, I don't own ANY of them and neither have I ever used a thermometer when cooking or baking or roasting, so ALL look very interesting to me and I would love to use them all. I'm most excited about the potato ricer and using it to make smooth and silky sweet potatoes. I follow OXO on Twitter, Facebook and Pinterest. I Shared the How to Spatchcock a Turkey post on Facebook. I Shared the How to Spatchcock a Turkey post on Twitter. I Shared the How to Spatchcock a Turkey post on Pinterest. I Tagged Thyme in Our Kitchen on my FB post. I pinned on Pinterest (@thymeinrkitchen). I shared on FB, Pinterest, Twitter. And the tool I love most is the thermometer and I need a new baster, mine is dry rotting! tool you are most excited about receiving! I Like Thyme In Our Kitchen on Facebook. I follow Thyme In Our Kitchen on twitter. I shared the "How to Spatchcock a Turkey" post via Twitter (newlywed_nicole) and I tagged you in my post. I'm most excited to try the OXO Poultry Shears! They would be great to have for everyday dishes and special occasions like Thanksgiving! I follow OXO on Twitter, FB and Pinterest. I don't know how to do any of those twitter or pinterest things, but I am a loyal RSS follower of your site. And I know where you live. And if I win, I'll get you excused absences from PEC for a month. P.S. Driving to work today, I think I spatchcocked a squirrel. I shared: https://twitter.com/megans_madness/status/268466638997831682 Most excited about the ricer! I need the,potato ricer! The leave in digital therm. would come in handy! I am def. Making your sweet potato casserole as a side dish/dessert this Turkey Day.... We,always do 2 turkeys, one in a gaint roaster and a cajun seasoned deep fried, one, might have to try one on the grill this year! Oh, do you have a favorite cajun seasoning? I shared this on Pinterest. I could really use a good set of kitchen shears and the thermometer looks really useful and precise. I would love to receive the digital thermometer! I am following your blog and liked you on facebook. We are going to try your new turkey method this year!! I shared "How to Spatchcock a Turkey" on Facebook. Forgot to add that the kitchen shears would be lovely to own! My last pair broke so I'm using my old reliable Fiskars scissors (shhhhh). I like TIOK on Facebook. I pinned your recipe and I want the potato ricer the most! I shared the How to Spatchcock a Turkey post on Twitter and the tool I'm most excited about is the 3-in-1 Adjustable Potato Ricer! I follow Thyme In Our Kitchen on Twitter! 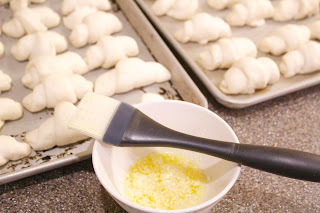 I follow OXO on Facebook, Twitter and Pinterest! Follow Thyme in Our Kitchen on FB! I like OXO all over the place!